Qatar Airways is the flag carrier of Qatar. Its hub is located in Hamad International Airport, with a fleet size of 190 aircrafts and with more than 151 destinations. Qatar Airways is one of the youngest state-owned airlines worldwide. It was founded in January 1994. Despite it being relatively new to the industry, compared to its counterparts, it has been renowned for its outstanding achievements. It has received the Best Business Class Award, Best Airline Staff Service Award and Best Business Class Lounge Awards from Skytrax during the World Airline Awards. The company offers a competitive remuneration and benefits package including medical, life and insurance plan, paid vacation, discounted airfares within route network destination and paid training programs. Employees love working here because they get to work in one of the fastest-growing airlines in the world, which values their work and dedication. They also provide numerous opportunities for career and personal development. How old do you have to be to work at Qatar Airways? The airline implements a minimum age requirement of 18 years old to be considered eligible for any available position including cargo, ground, and cabin crew jobs. Terminal Attendants – They provide high-quality customer service by assisting passengers before boarding. They attend to guests’ inquiries and concerns regarding directions, schedule, and other terminal services. Passenger Care Representative – They are responsible for facilitating the selling of flight tickets to passengers by computing total amount, processing cash, debit or credit card payment and issuing refunds when needed. Flight Steward/ess – Their key duties involve ensuring the safety of all passengers. They also attend to the guests’ needs during the flight primarily by ensuring that there is enough food and drinks for all passengers throughout the flight. Other common jobs in this company that applicants can also consider are: Ticketing Clerk Agent, Aircraft Technician, Ramp Planner, Crew Schedule Coordinator, and Airline Administrative Support. Qatar Airways hosts an online job portal that contains all the available positions as well as the jobs descriptions and application requirements. Applicants are required to register in the website to proceed with the application. Upon registration, users can create their own profile with their personal and professional information. They can also upload relevant documents such as curriculum vitae, cover letter, recommendations and a photo. To fill successfully fill out the application form, applicants are advised to provide all required information especially updated contact details. Providing the same email address throughout the whole hiring process is also recommended to avoid confusion. In writing an excellent resume, the document should be kept as short and simple as possible. There is a bigger chance the resume will get positively noticed with the of use bullets instead of as well as reverse chronological arrangement, to highlight more recent experiences. In preparing for the interview, the recruiter uses the submitted documents as employment references for background checks. It will be an edge if the applicant can discuss the submitted documents and credentials with good communication skills to make a positive impression. The company is committed to maintain a rich working environment, where employees can realize their full talents and abilities. It also aims to create an inspiring workplace to keep its people motivated in providing the best quality service to its guests. The airline is continuously expanding its operation, adding more destinations to its network route. Recently, it has opened its airline’s flights to Pisa and Florence in Italy. 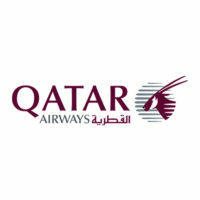 Qatar Airways is known for its sponsorship for different athletic teams such as FC Barcelona’s, Al-Ahli Saudi FC’s and Sydney Swans. It is also known for its company slogan “Going Places Together”. The airline has been involved in carious social responsibility programs primarily focused in supporting foundations for sick children, athletic organizations, and Qatar vulnerable communities. They are also involved in projects for sustainable business practices.